Graeme Smith's South Africa were firm favourites to win the three-match Test series in 2006. 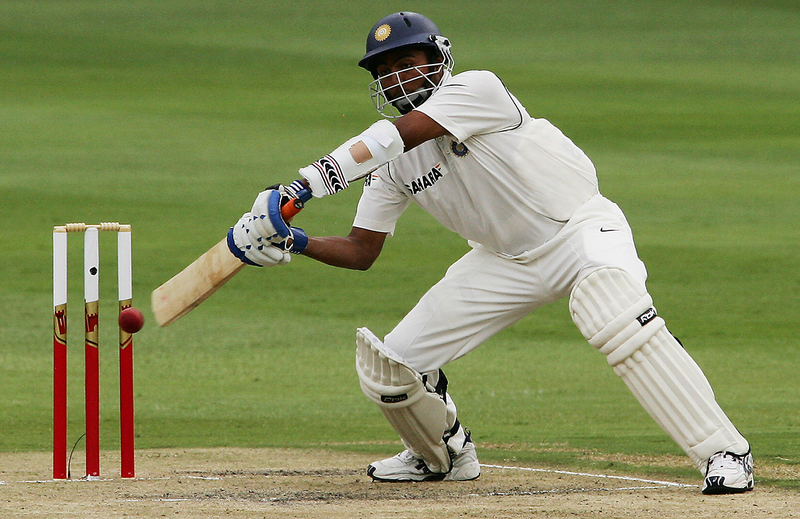 India, led by Rahul Dravid, had already lost the ODI series, which preceded the first Test in Johannesburg, 4-0. India had never won a Test match in South Africa, although they had drawn five in their previous nine attempts in South Africa. It was India's best chance. They had also won the tour match in Potchefstroom a week before the Test, and South Africa had lost two of their last three Tests at the Wanderers, against England and Australia. The first day was marred by poor weather and the start was delayed. Though history favoured teams batting second, Dravid chose to bat. South Africa had trusted their strength and conditions and picked a quartet of fast bowlers. India were quickly 14 for 2, having lost Virender Sehwag and Wasim Jaffer, but Sachin Tendulkar and Dravid slowed things with a spirited defence, stitching together a 69-run partnership. Jaffer: It was a very positive call from Rahul. He was very attacking in his method as a captain. That says a lot about our mindset on a tricky track to go out there, win the toss, and despite a delay due to a wet pitch, post a decent total. 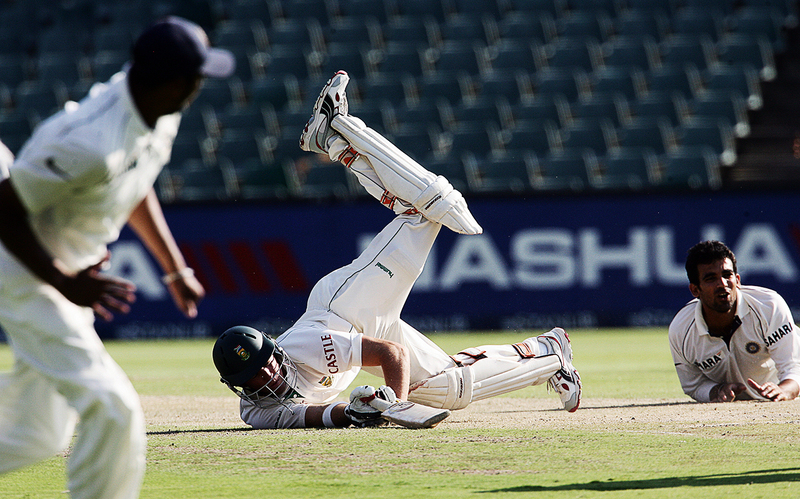 The track in Johannesburg is known to be bowler-friendly, and once it hardens up, is usually harder for the batsmen. That was exactly what happened in that game as well. It was called off early on day one, and even then, the challenges while batting were considerable. Sachin batted beautifully in the first innings, and even though he got out for 40-odd, some of the shots he played were magnificent. Greg Chappell, India coach: It was Rahul's decision. You give up a huge advantage if you don't bat first when you win the toss. The state the pitch was in, it was a real lottery. I think it took a lot of courage for Rahul to take that decision. Sachin's 44 and the 60-odd partnership with Rahul was very, very important in the scheme of things. Had we lost those guys early, a hundred might have been hard for us. Tendulkar and Dravid were out with just over 100 on the board India needed the middle order to stay strong. Sourav Ganguly was playing his first match for India in ten months, having been dropped earlier. His relationship with Chappell was strained, and the circumstances made for a test of his character. It was Ganguly's third visit to South Africa and he made a fighting half-century, and he, with support from the lower order, chaperoned by VVS Laxman, frustrated Smith's men. Chappell: We had a session where we got everyone to talk about two or three different things that were going to be important for the Test series, let alone this match. Sourav's comments were along the lines of courageous, gutsy play and I think it was Sachin that asked him what he meant by courageous, gutsy play and he talked about how, in these ten months or so, whatever it is that he's been away, he's been able to reassess a lot of things and cricket's not the most important and only thing in life and this has taken the pressure off him from a batting point of view. That every inning is not the most important thing in life and it's given him the chance to be a little more relaxed about his approach to batting. We saw some freedom from Sourav in this innings, in this game, that perhaps he's not had in his batting for a long time. Jaffer: Sourav was very aggressive. He always used to say that India plays better on green tracks. In his comeback innings, and being one of the senior players, he fought really hard. On the second morning South Africa took four wickets for 49 runs before the last man, VRV Singh, joined Ganguly. VRV was not even supposed to play the Test match, but a good bowling performance in the warm-up game had helped his cause. VRV: I'd actually like to go back before the Potch practice game. I picked up six [five] wickets in a Ranji game against Bengal. One of the national selectors was around and he saw my bowling. Then the three-day practice game happened at Potchefstroom, in which even Morne Morkel was playing on the other side. I bowled well, and was quite young at that time, about 20-21 (22) years of age. During that game, MS Dhoni, for whom this was the first tour to South Africa too, walked up to me in the nets and said, "You're bowling very well." The practice game was an official first-class game, and I bowled as the first-change bowler and performed well in both innings. Laxman, who captained India in that game, and Sachin paaji, both came and said I was bowling well and generating good pace. After the second innings, my confidence was quite high, and going into a big Test match, if you've bowled well and your coach and seniors are happy with you, that gives a boost. Rahul told me: you'll play the Test, so be ready. Unlike the practice match, I didn't get as many wickets, but I did my best in both innings. In the first innings, in fact, I hardly got to bowl, since Zak [Zaheer Khan] and Sree [Sreesanth] had run through the South African order. VRV needed all that pre-match confidence when he joined Ganguly in the middle on day two. He had made just two runs in Test cricket in the one innings in which he had batted till then. As he took guard, he had to quickly erase from his mind that India had lost two wickets off the last three deliveries. He would end up playing one of the more exciting and memorable tail-end innings. A lusty 29 and a record 44-run partnership for the last wicket helped India to a competitive total. VRV: That day the wicket was such that little contributions like Rahul bhai's and Sachin paaji's were as important as big hundreds elsewhere. One thing I remember well is that my bat was Dhoni's, with which I hit those boundaries. Sachin paaji told me very seriously that I had to contribute a minimum of 20 runs. You know, for a kid like me at that time, if Sachin Tendulkar says something, it's quite a big deal. I promised myself I'd do it, and luckily on that day I managed to connect a few. That partnership between me and Dada [Ganguly] gave us great momentum. I don't think he expected us to put together a 44-run stand. In domestic cricket I was playing a few of these innings, putting together 20-25-30 runs. I knew that I couldn't stay for too long if I defended the ball. And getting singles for a tailender is quite difficult, to be honest. After a point, I think Dada started giving me the strike, thinking, "This kid is striking it, so might as well get ourselves a few quick runs and it'll be good for the team." Was 249 enough, though? India thought if they could bundle out South Africa for about 200, it would keep them even. VRV: I don't think even the South Africans expected the wicket to have as much movement as we generated. It was cloudier too, when we came in to bowl. After our partnership, we suddenly seemed to have got the crowd going, and there was an Indian contingent at the ground. They were chanting "India, India" quite loudly. Zak and Sree then rolled over their top order in the first spell itself. "Hopefully, he can back it up in the Test matches with the ball in hand, and not necessarily his mouth," Jacques Rudolph had said after the Potchefstroom game, where Sreesanth had irritated the South Africans with his chatter. In Johannesburg, Sreesanth conjured a spell of fast bowling that would render South Africa, and even his own team-mates, speechless. He was supremely accurate, and bowled with an upright seam, using the width of the crease. With guidance and support from Zaheer, he reduced South Africa to 84 all out, their lowest total at the time since readmission. South Africa lasted just 25 overs. Chappell: All of the experts kept commenting on the seam position and how well it came out. I've never seen anyone do that as consistently. It was remarkable how well the seam came out every time. The good bowlers do that consistently over periods, and probably three or four times in an over. He was doing it six times an over, time after time after time. That was the plan, and we struck gold by getting them out for 84, and that set up the Test match. VRV: Sree was bowling exceptionally well in that spell, and the team management only asked us to keep going after that fabulous start. After Zak and Sree picked up three-four wickets, in fact, we were hoping to fold them up for 50-60 runs. If not for Andre Nel connecting a few late in the day, their score would have been much less than 84. The wicket was also assisting us quite a bit, and it was moving till the very end of that innings. Graeme Smith: Sreesanth got the ball to swing. He bowled a good line and length. I remember learning a big lesson on the Wanderers surface that day. Generally you bowl first because you think there is something in the surface and it does move, but it moves very slowly, so the batsman has time to adapt. And then suddenly on day two, it hardens up a little bit and you find the edges quickly. After that, most of the time, we started to bat first at the Wanderers when we won the toss, so we learned a valuable lesson. Tactically, we just knew we had to get better at our skills. India now needed to cash in on the 165-run lead. 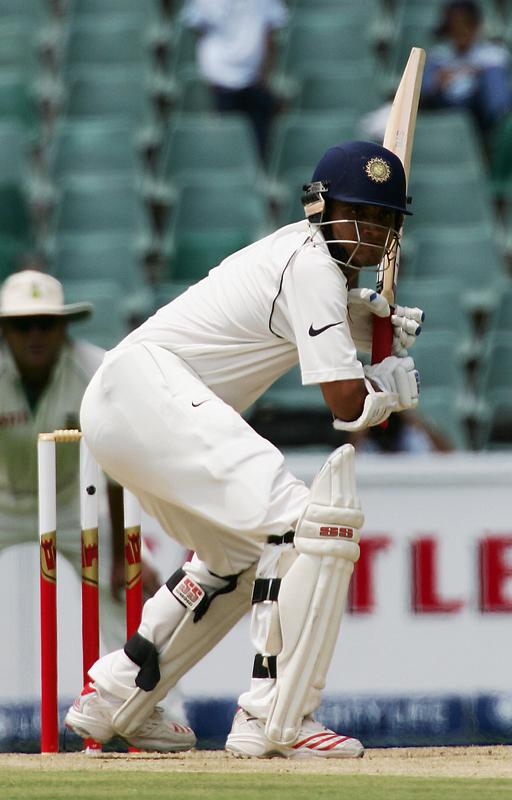 Once again Laxman and Ganguly kept India afloat, with a 68-run stand for the fifth wicket. Laxman then stretched India's lead in the company of Zaheer, who took 25 deliveries to get off the mark but swiftly made a belligerent 37. 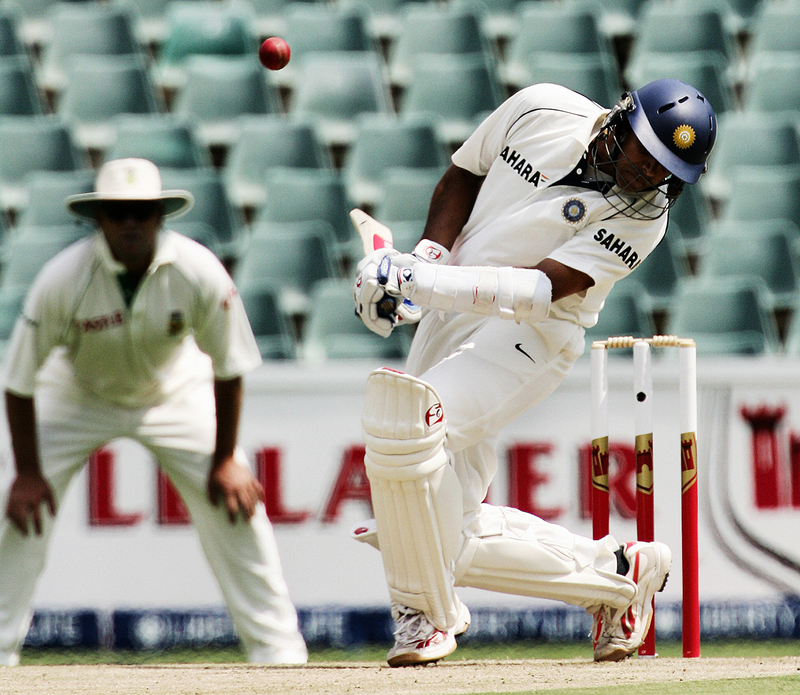 The target India set was an almost-impregnable 402, and just how stiff the challenge for South Africa was became clear when Zaheer and Sreesanth got back on the prowl. Zaheer got Herschelle Gibbs in the only over before lunch on the third day. Sreesanth got Smith and the dangerous pair of Hashim Amla and Jacques Kallis. A swift pick-up-and-throw by Zaheer ran AB de Villiers out. Only Ashwell Prince, the top scorer in South African's first innings, once again played a doughty innings, falling three short of a hundred. Jaffer: I was at square leg and Zaheer was at mid-on when he got AB run out. He got him out with a direct hit and that actually changed the course of the match. The ball was getting old and they were getting partnerships going, while our bowlers were tired. That dismissal gave us the momentum. And then we had the new ball in hand. About an hour into the fourth morning Anil Kumble got rid of Prince and Shaun Pollock, who had put together a stoic defence. VRV: We were quite sure we would win, especially after the lead we had after Zak and Laxman had put on that crucial stand in our second innings. It is always difficult to chase in the fourth innings, on any wicket. And with a target like that on that wicket, it was never on our mind that we'd lose this game. Chappell: We didn't bat well in the one-dayers. We batted very well in this game in difficult conditions. The hard work that the boys have put in over the past few months on their batting is starting to show results. Jaffer: It was a great win. It was special since it was also the first Test match. Most importantly, what helped us to win that game was that we were there for a good month before the first Test. We played the ODIs before that, a couple of side games, and we got used to the conditions really well before the Tests. What happens is, sometimes you go for the Test series first, you only play one or two practice games, and by the time the first Test starts, you are still not used to the conditions. Even though the South Africans beat us handsomely in the ODIs, we were acclimatised to the conditions by then. Smith and South Africa were shocked by the defeat. Smith: They played better cricket than us. We got into trouble. We got bowled out quite quickly in the second innings, and the wicket picked up pace and suddenly the nicks were carrying and they were finding the edge of the bat. At that time, in the team, we had one or two emotional characters, so we probably weren't quite at our best yet. As a team we were still very much in a building phase. After that we really started to hit our straps and find the personnel to move forward with. In that first Test match, they did their skills better than us. We improved after that and came back and did really well. Regrouping and coming back to win the series was pretty good. Andre Nel: We wanted to come hard at the Indians because we knew they weren't used to conditions. At the Wanderers, if you find the right length, any bowler can do well. It was a good wake-up call for us. They also had good fast bowlers. We could hear them celebrating in the change room next door to us and that motivated us even more to come back ten times stronger in the next match. Smith: You remember those things and they hurt and they motivate you. But also, you've got to put it in perspective. It was the first time they'd won in South Africa - it was a huge moment for them. As an opposition, you take things from that. It motivates you and you've got to get better. Going into the next two Test matches, the guys were right up for it and knew we couldn't afford to make any mistakes. India would end up losing the next two Tests and the series. But for Indian Test cricket, 2006 was a special year. Dravid had led India to a thrilling win in the West Indies six months before this Wanderers Test. Jaffer: [This match would be] right up there, in the top three, along with the Trent Bridge one, when we won the series in England , and the one in Jamaica just before this. We won three big Tests in a row, in England, West Indies and South Africa, although unfortunately we couldn't win this series. VRV: For people like me, Wasim bhai [Jaffer] and quite a few others, it was our first trip, and the Jo'burg game ended up being a memory for a lifetime. That win would be right at the top. I'm a lucky guy that way. When we won in West Indies, it was the first time since 1971, right? I was in that team. I'm an extremely lucky guy to have been in the side during that phase, when few expected us to do so. First, my Test debut in Antigua, under Rahul bhai, then this game, are right on top of the list of memorable moments in my career.